While you may think knee pain is only associated with older individuals, knee pain is actually one of the most common complaints of pain for patients of all ages. This is likely because the knees help people perform so many functions on a daily basis. It is also probably because the knees are easily susceptible to injury and a number of medical conditions such as gout, arthritis, and more. The knee is not a hinge joint. The thigh bone rotates on the leg bone to produce the bending motion that we all can see the knee perform. This need for rotation means the bones must be free to move by the surrounding connective tissue. 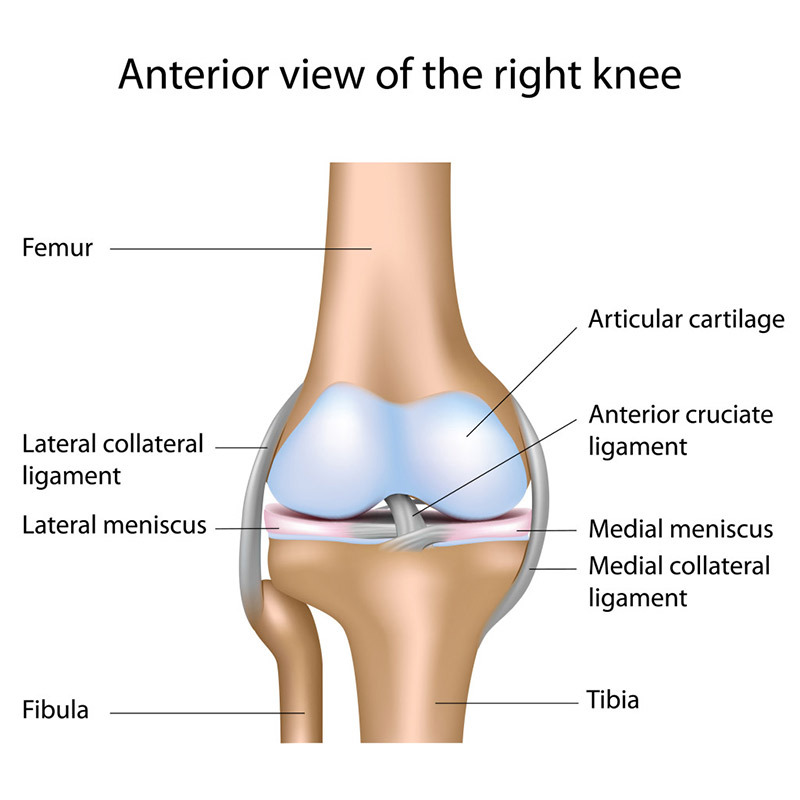 The thigh bone rotates on the meniscus, a piece of cartilage is in the knee. An injury to this piece of cartilage or the surrounding connectors can also be a cause of pain. There are also ligaments in the knee that can be injured, like the oft-mentioned ACL, but this is far less common for the average person. Out front is the patella, or knee cap, that can hurt when the cartilage underneath begins to wear. What do you do if you are experiencing uncomfortable pain in your knees? The answer likely depends on what is causing your pain. Medications are commonly prescribed to help alleviate pain and allow the individual to continue performing daily functions. Anti-inflammatory pills are known to alleviate symptoms. The knee often responds well to topical agents that absorb through the skin to reduce the inflammatory response and ease pain also. Therapeutic exercises can be helpful for certain conditions. If the knee has a reduced range of motion exercises can help to make the connectors stretch to allow the knee to be used normally. Injections are also an excellent treatment option if you are experiencing painful problems with the knee. A corticosteroid drug or viscosupplementation agent like Synvisc or Supartz or Orthovisc may be injected onto the ligaments or into your knee to help reduce your symptoms. Platelet Rich Plasma and stem cells, newer regenerative treatment techniques, have been shown to help more advanced problems such as meniscus tears, cartilage erosion, and arthritis. If arthritis is severe, symptoms can be reduced through radiofrequency ablation of the nerves that serve the joint. This valuable technique can help people who are not good surgical candidates or need some symptomatic relief as they await their surgical procedure. As always, it is important to speak with a pain management doctor to determine which treatment option is right for you. To learn more about the knee pain treatment options available at Summa Pain Care, call 623.776.8686 today.